The humble cauliflower, usually ignored, often over cooked, one of those vegetables your mother told you was good for you but smelled bad. 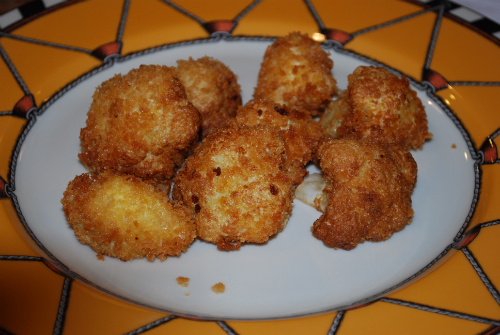 Before I begin my Passover project I wanted to post these recipes for cauliflower. Although this is not a Passover recipe, I made this salad last weekend and it was so delicious that I wanted to share it anyway. 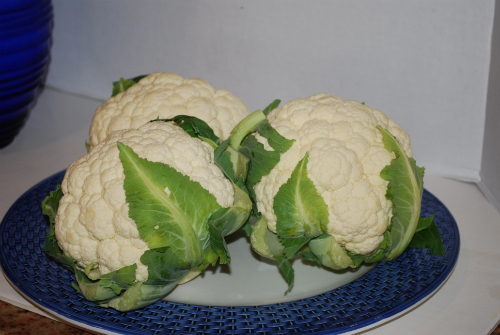 Cauliflowers are plentiful right now. I also did cauliflower two other ways two other ways. Some flavors meant to go together, create sublime combinations. In this case, the curry spice with ginger is compelling with the acid and sweet of the rest. Together with the contrasting textures, I am happy to keep eating. When I make this, the gorgeous colors entice everyone while the taste brings them back for second servings. This dish is good at room temperature and great for a buffet. 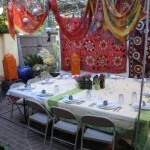 I created this for a buffet party for 28 people. You can easily double the recipe. Last weekend there were only 5 of us. 1/4 cup Italian parsley, washed, dried and chopped. Preheat the oven to 350º. 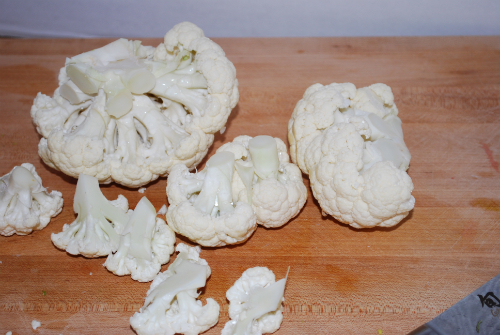 Place the cauliflower florets in a baking dish and toss well with curry powder and safflower oil. 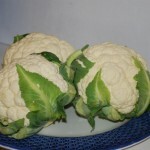 Season the cauliflower with salt. Bake the cauliflower about 20 minutes to ½ hour until tender and turning slightly brown on edges. 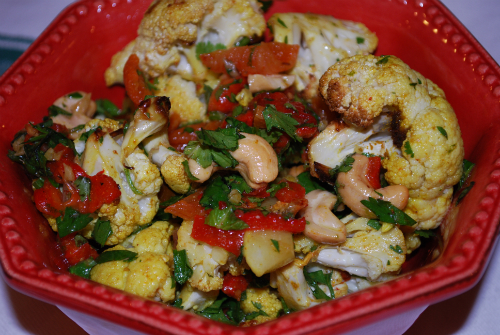 While the cauliflower is baking, heat a sauté pan, add the oil and sauté the minced ginger and garlic. Season the garlic and ginger with salt. Sauté until just starting to turn color, set aside. When the garlic and oil is cool, you can add the lime zest and lime juice. This is the dressing. Remove the cauliflower from the oven and let cool. 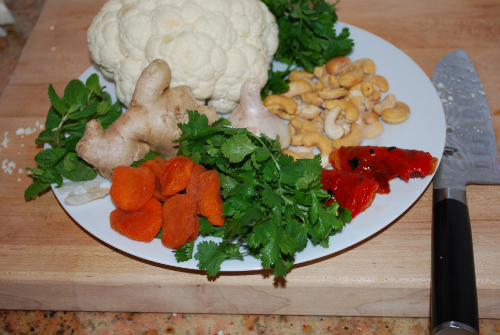 When it is cool, place it in a large salad bowl, add in all of the other prepared ingredients except the cashews, and toss well. 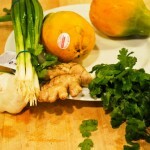 Dress the salad with the cooled off garlic ginger dressing. Lastly, sprinkle the cashews on top. The curry powder will turn everything a beautiful shade of yellow, which is very attractive with the red pepper and green herbs. Serve this at room temperature or refrigerated. You can double the recipe for a large crowd and it is good as leftovers. Divide the cauliflower into florets. 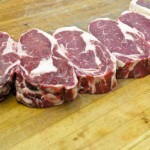 Place them in an oven proof baking dish and toss them with salt and olive oil. 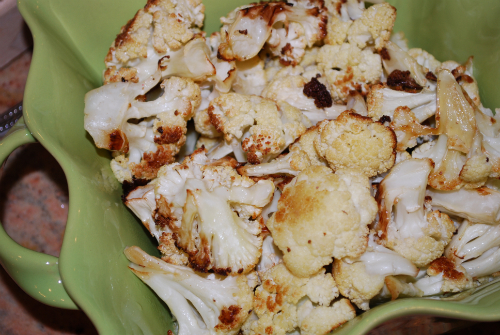 Place the dish in a preheated 350º oven for 30-45 minutes until the cauliflower looks golden brown in places. It’s like candy. 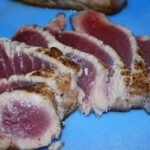 Serve it warm or room temperature. Pour the oil into a deep sauce pan. Preheat the oil to 325º-350º. While the oil is heating, prepare the cauliflower. Cut the head into bite size florets. Toss the florets lightly in the seasoned flour. 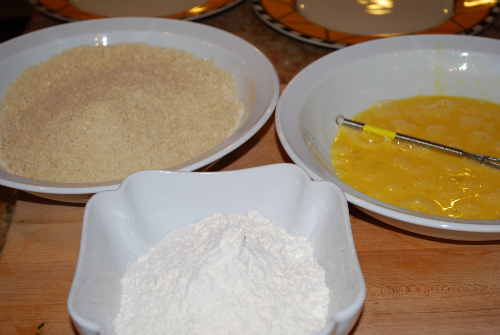 I prepare the flour in one wide flat dish, the beaten eggs in another and the bread crumbs in another. I toss a floret in the flour and move it down the line, next dip in egg, next toss in the bread crumbs. When I have at least 6 pieces assembled, I can begin to place them carefully in the heated oil. Watch them and some will need turning over with a tong to brown evenly on every side. When they are golden brown, remove each floret from the hot oil and rain on paper towels. Serve this as a side dish.